Northland Basement Systems is a proud member of the National Radon Defense network of professional radon contractors. This means that we have access to on-going training and state-of-the-art radon mitigation products and systems. Becoming a dues-paying member of such an organization usually means that the builder is an established member of the community who cares about the industry as a whole, not just his or her bottom line. 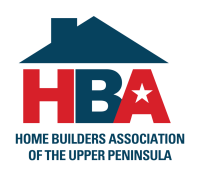 The HBA offers its members the latest educational programs, including those that provide information on how to serve you better.